The silence of the lifting air, the steady support under your balanced wing, the endless landscape that is slowly revealed: soaring is spectacular. 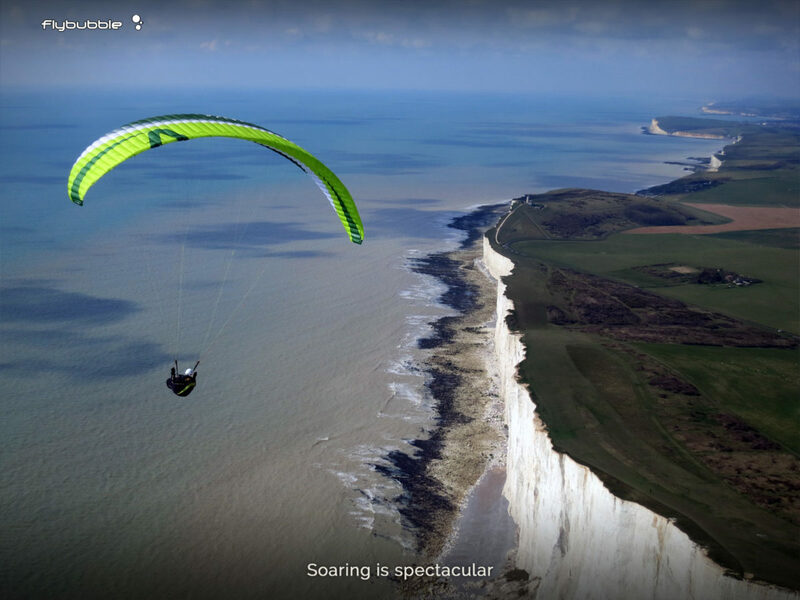 Flying at Beachy Head on the south coast of England. Some people belong above the horizon. You can tell which kind you are by some common telltales. If you know the current wind direction, and which day will be sunny this week, you probably need to get into the blue bit rather soon. 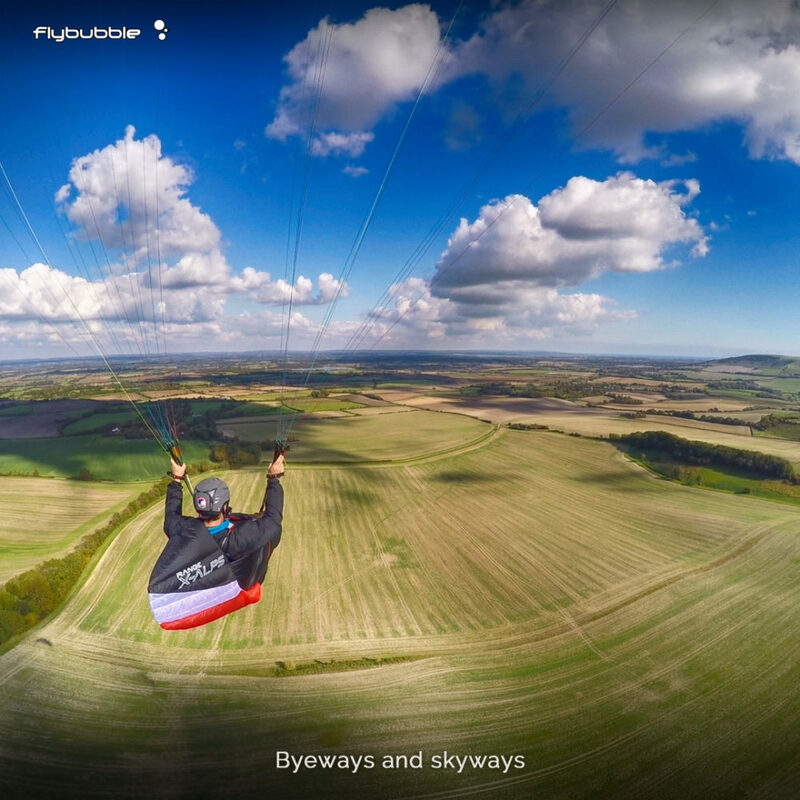 Flying can be a brief escape from a busy life crammed with other responsibilities. 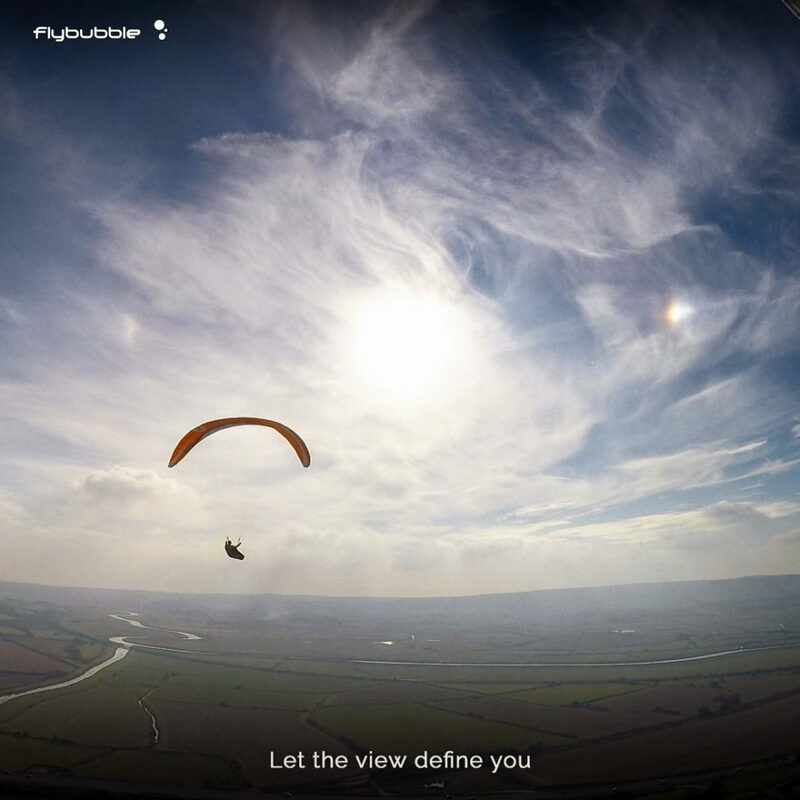 Finding the time to fly is part of the challenge, but you’ll be richly rewarded. 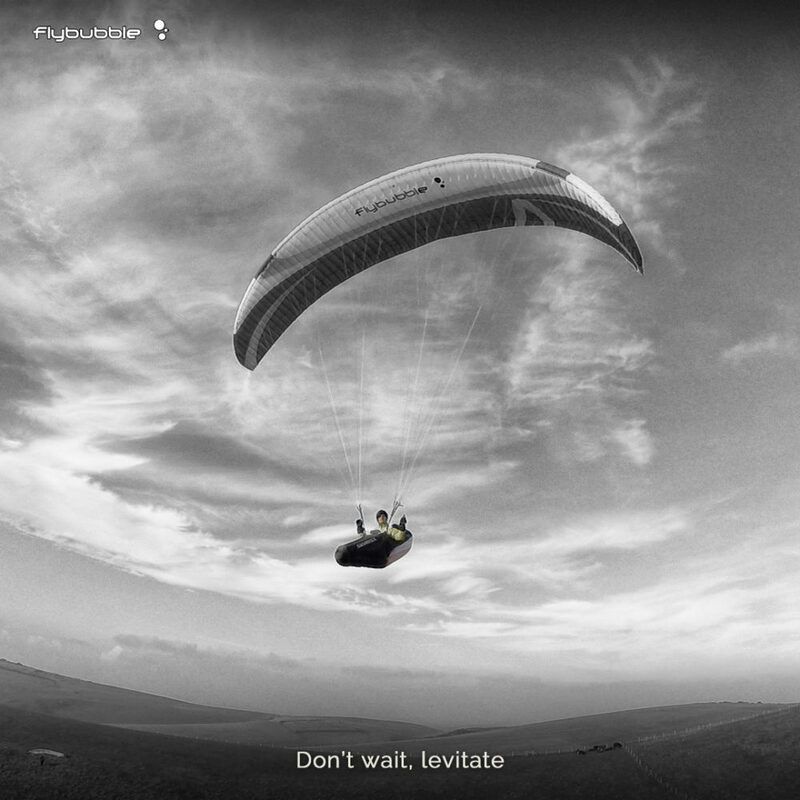 Don’t wait, levitate! Let the view define you. It’s easy to become too concerned with details and forget that when flying, you are in the presence of an amazing view … and that you’re part of it. On of the joys of freeflight is being separated from your shadow. But it’s always there, fleeting through forests, dancing over water and sometimes a close companion on the cliffs. It’s never guaranteed so it’s even sweeter when it works the way you dreamed: that effortless escape from the ground that leads to adventures untold. 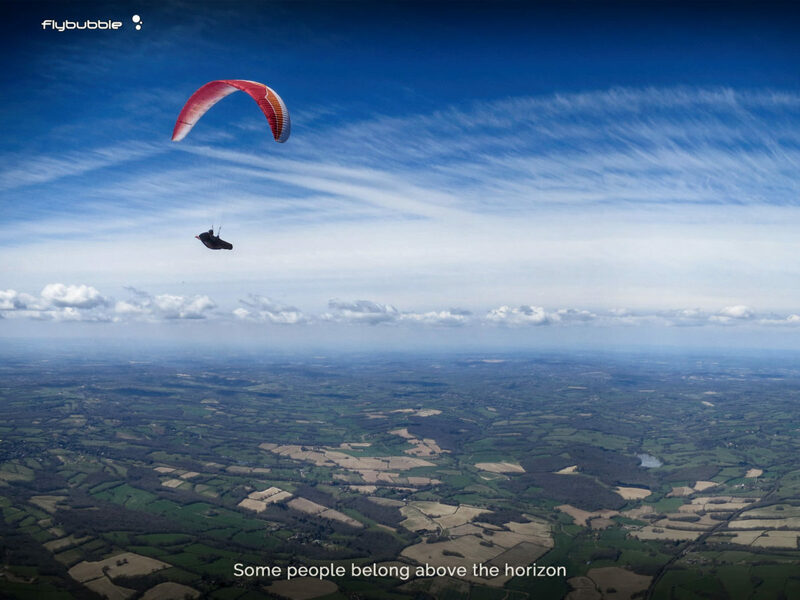 Soaring over the South Downs in England. The air rises in a wave, shaped by the contours below. Paragliding along the Outeniqua Mountains in South Africa. Hunting for thermals over the high ground. 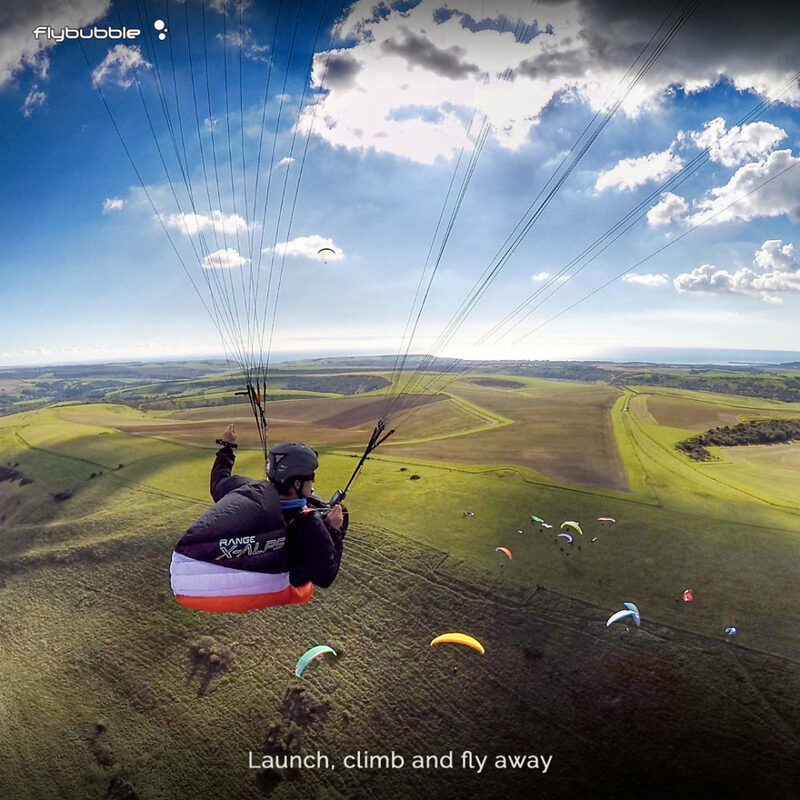 Paragliding over the South Downs. England’s countryside is covered by a network of public access walking paths, leading to many hidden sights. Sometimes, the sky promises more. 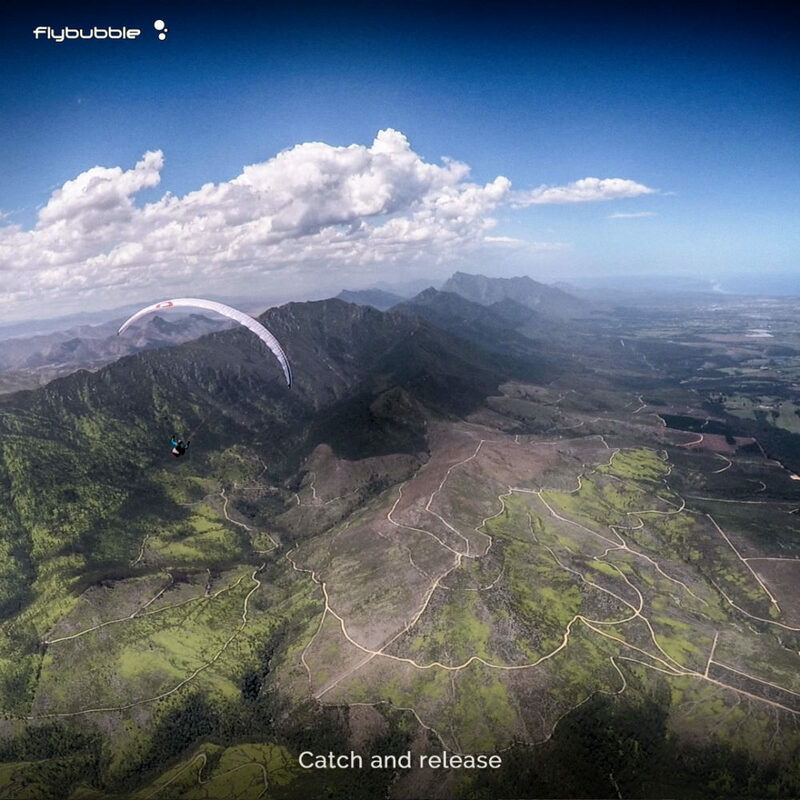 Gin Explorer demo wings land at Flybubble! Holy Cow, Batman! 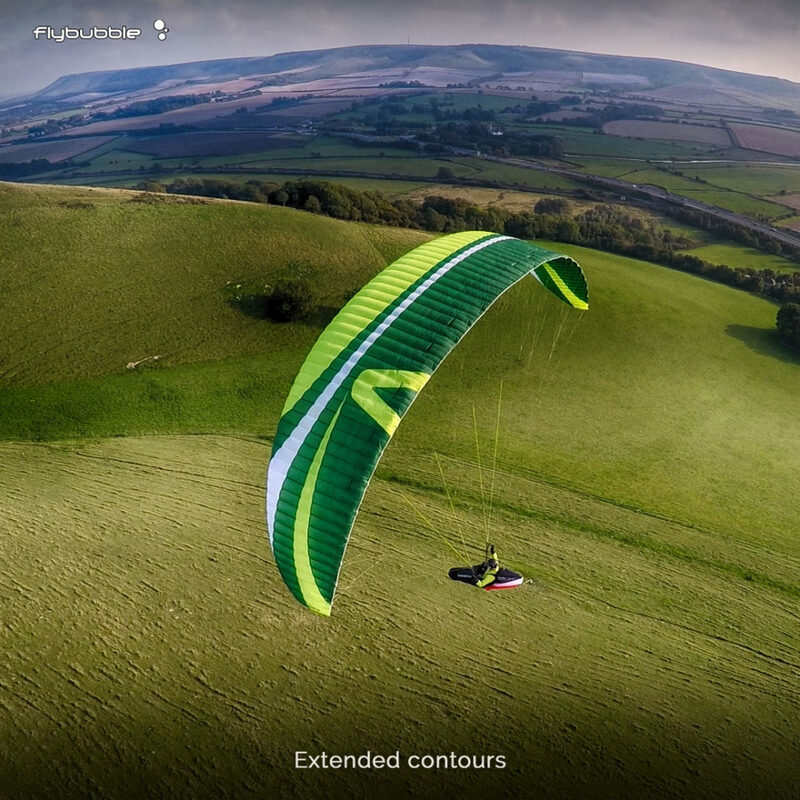 Is that your new Gin Explorer demo wing? 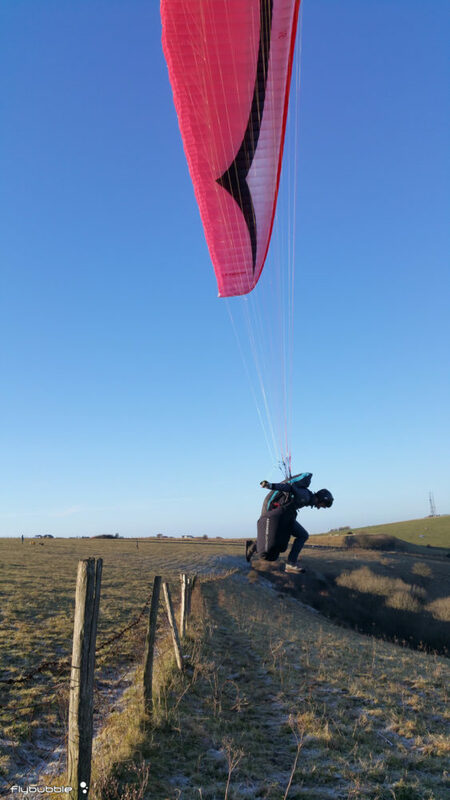 We got our first new Gin Explorer demo in early January and Carlo managed to get out and have a brief play in light winds on a very beautiful sunny winter’s day. First impressions of the Explorer are that the build quality is excellent, the wing has a very clean shape, the launch characteristics are well-balanced, and handling is responsive and moderately dynamic. Like a lightweight Carrera+ but with a slightly more compact feel. 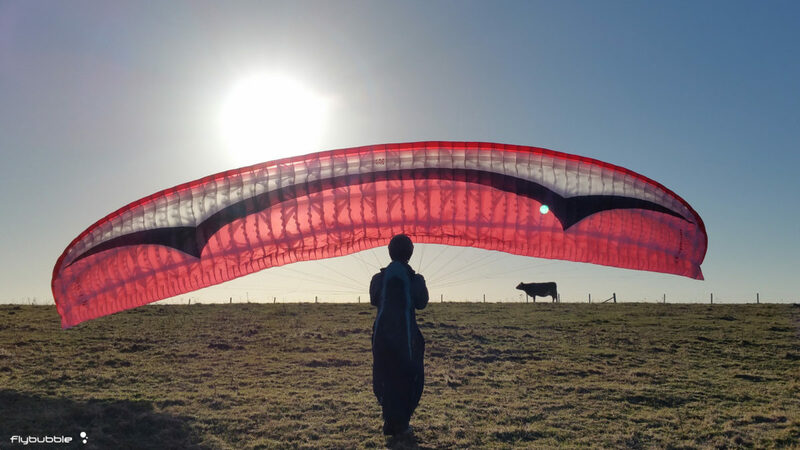 The wing inflates and comes up easily, without any marked sticking point i.e. I didn’t find it showing a tendency to ‘pause’ or hang back on inflation, with or without risers. In light winds I didn’t notice the Carrera’s tendency to ‘reward’ a poor pilot’s inputs with the good ol’ pluck n plonk, but the real test of this will of course be in strong conditions. As with the original Carrera and Carrera+, the Explorer requires some finesse to get it to come up straight, however if you do bring it up skew then this is relatively easy to correct with good technique. Another similar trait to it’s two siblings is that the Explorer is quite reactive to relatively short brake travel, yet still tolerates relatively deep inputs and gives good of warning before the stall point is reached, giving it a Sports class feel with XC class demands in this regard. 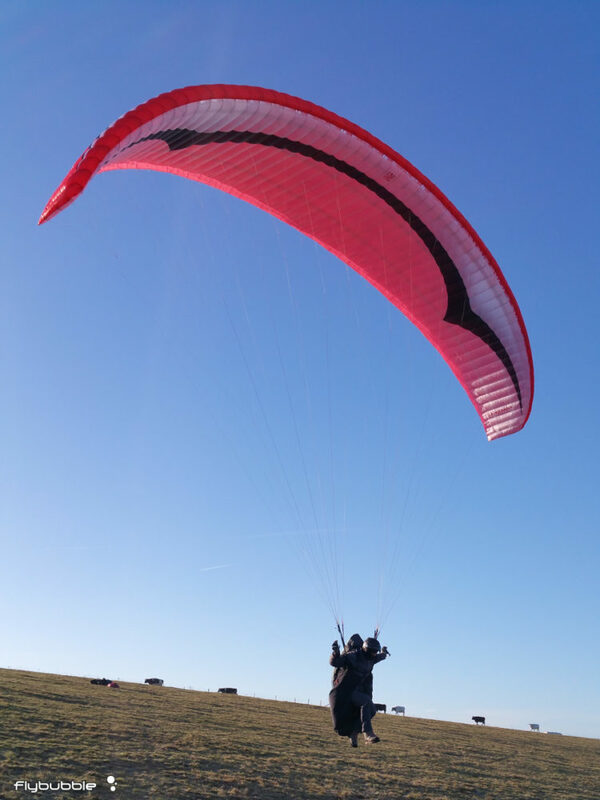 As well as a good bit of ground handling, some kiting around the hill, about a dozen launches and a bit of scratchy soaring, I had opportunity to throw a few small wing overs. 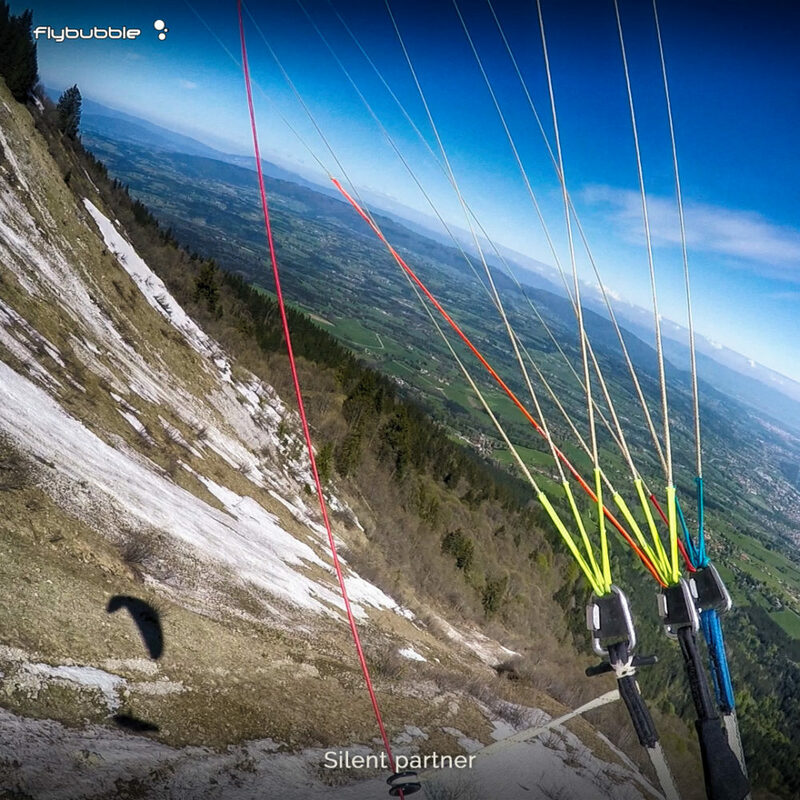 The Explorer responds smartly to inputs, builds speed quickly and converts this speed efficiently into energy – excellent for wing overs, again very similar to the Carrera and Carrera+. We’ll need to fly it more – a lot more – to be sure however first impressions are that the Explorer is a very similar level of glider, with similar levels of pilot demand, to the Carrera+ i.e. a bit less demanding that the original Carrera. More about the Gin Explorer. Want to try our Gin Explorer demo? Contact us to arrange a test flight! Holy Cow, Batman! Is that the new Explorer from Gin? First impressions of the Explorer are that the build quality is excellent, the wing has a very clean shape, the launch characteristics are well-balanced, and handling is responsive and moderately dynamic. Like a lightweight Carrera+ but with a slightly more compact feel. As with the original Carrera and Carrera+, the Explorer requires some finesse to get it to come up straight, however if you do bring it up skew then this is relatively easy to correct with good technique. The wing inflates and comes up easily, without any marked sticking point i.e. I didn't find it showing a tendency to 'pause' or hang back on inflation, with or without risers. In light winds I didn't notice the Carrera's tendency to 'reward' a poor pilot's inputs with the good ol' pluck n plonk, but the real test of this will of course be in strong conditions.